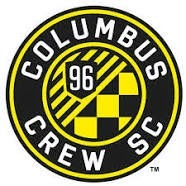 The 2015 Columbus Crew are the example of what Major League Soccer should represent, on the field, at this point in the league's history. A mixture of talented players between the ages of 17 and 32. Not a single millionaire in the bunch. Quality soccer minds, no small skill, creativity, cohesiveness...entertaining. A leader, in Gregg Berhalter, defining a space in which all these traits can flourish. North Americans, South Americans, Europeans, Costa Ricans... no Iacans. Certainly, there are weaknesses. The back line is not deep, especially in the middle. Especially in the middle. The middle, where all things meet. Wonderful things can emerge from that place. Young talent can show its potential and progress to greatness. The struggling sophomore has time to find his place and shine. Seasoned veterans lead by example and find renewed strength in the energy and optimism of their pupils.